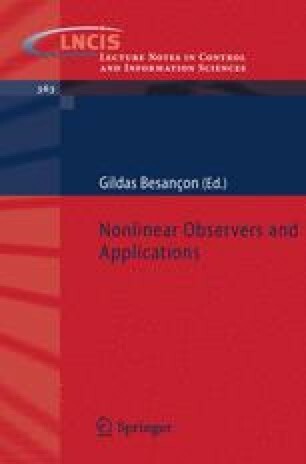 In this chapter we present immersion transformations of nonlinear systems for observer synthesis. A transformation through immersion is a generalization of an equivalence transformation to the extent that the dimension of the state space is not necessarily preserved. The immersion of a system for estimation purposes involves in fact the immersion (in the differential geometry sense) of the state space into a space of larger dimension, leading to a dynamical extension of the system.